"Le Grenier" open for lunchtime and evening, perpetuates the grand culinary traditions of the Savoy Region. Old-time recipies and decoration, wide terrace overlooking the snowy slopes. Le Grenier. The team in the kitchen, who have previously worked in Michelin starred restaurants, serve ‘bistro-chic’ food (set menus or à la carte), including some delicious desserts not to be missed. Delicious slow cooked meals such as monkfish stew or braised veal shank, as well as the Bellevillois burger: beef or lobster. Balcony with views over the slopes, the village or surrounding hamlets, they features a sitting room or a mezzanine area and are classically shaped or with sloping ceilings. Contact details : Le Grenier. - Hôtel – Restaurant **** situated at the foot of the slope. - Access by skis, by foot, by car. - Departure of St-Martin cabble cart – Access 3 vallées. 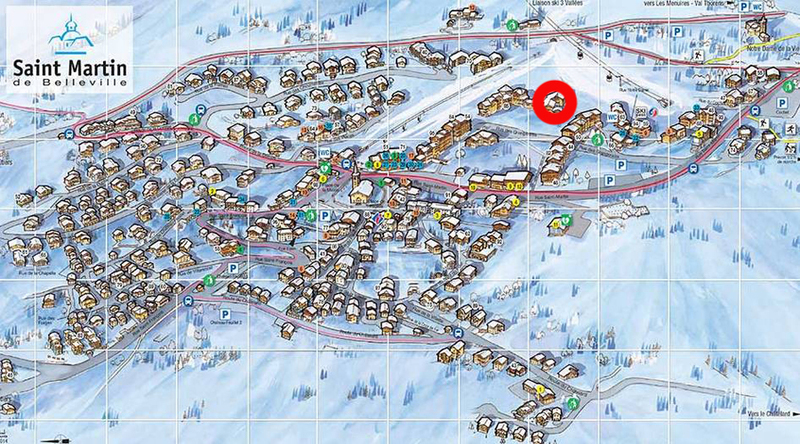 - In the end Biolley slope, pass the tunnel of St. Martin, 2nd right. - Service 12.am – 2.pm and 7.pm – 9.30.pm by reservation.